Increase security and make desktop management easy with a virus- and malware-resistant all-in-one thin client featuring Wyse ThinOS and a 21.5” display. Three year limited warranty. Extended warranty up to 4 and 5 years. Optional warranty extension with advanced replacement. An integrated solution that combines the security and easy management of traditional thin clients with the power and performance to deliver high-end graphics and HD multimedia, the Wyse 5000 series is the first all-in-one (AIO) thin client to operate on the ultra-fast, virus-resistant ThinOS. With an unpublished API and encoded with AES disk encryption combined with the power of an AMD G-Series dual core 1.4GHz processor, the 5000 series AIO boots in less than 10 seconds and supports users’ most demanding audio and video workloads for Citrix, Microsoft® and VMware virtual desktop environments. An available PCoIP option enables direct high-performance access to VMware and Amazon WorkSpaces virtual desktops and applications. The Wyse 5000 series AIO offers versatile connectivity options for use in a wide range of industries. With four USB 2.0 ports, Gigabit Ethernet and integrated dual band WiFi options, users can link to their peripherals and quickly connect to the network while working with processing-intensive, graphics-rich applications. Unified Communication Lync 2010, Lync 2013 and the Skype for Business client for Lync 2015 via the Citrix HDX RealTime Optimization Pack, built-in speakers, a camera and a microphone make video conferencing and desktop communication simple and easy. 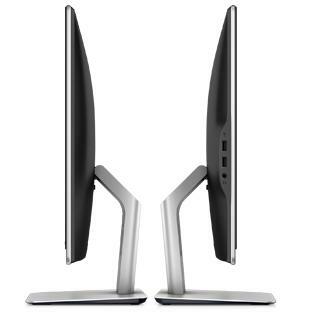 It even supports a second attached display for those who need a dual monitor configuration. Complete your Wyse thin client with accessories recommended to enhance team productivity. Look for these great products and more at checkout. Upgrade to a wireless duo that lets you work in ­­comfort without a cord in sight. Dell Wyse thin clients feature a complete services portfolio including Deployment Services, ProSupport, Accidental Damage Service and Keep Your Hard Drive Service* giving you end-to-end support throughout the product lifecycle. 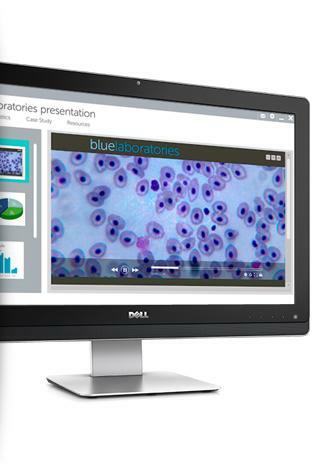 Dell services portfolio for Wyse thin clients helps you streamline deployment and support so you can focus on innovation.